Mercedes Benz produced a very popular passenger car starting in the mid-1930s designated as the Type 170V. The car was produced as a saloon (hard top) and cabriolet (convertible / soft top) and production ran through 1949 before variations of the basic design started appearing on their production lines. During World War II, the Type 170V was pressed into military service and was a reliable and widely used vehicle. 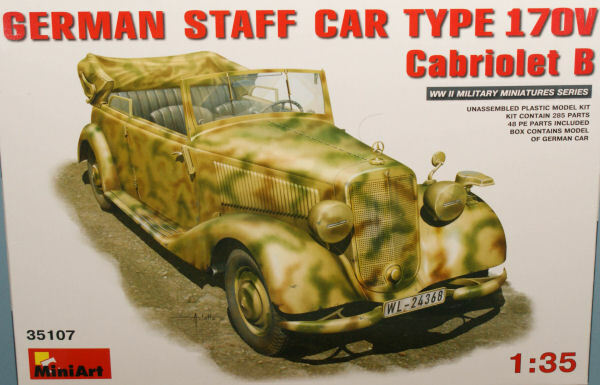 The vehicle's tooling survived the bombing during WWII and the Type 170V would be Mercedes commercial offering to get the company back on its feet after the war. 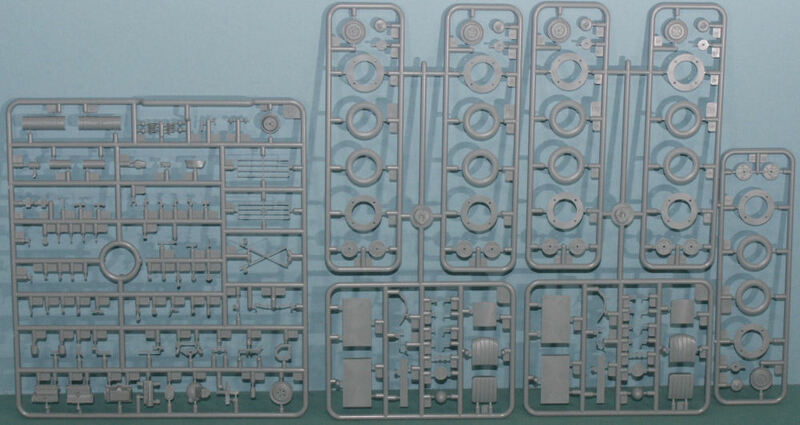 MiniArt has been producing a growing range of staff cars and utility vehicles from World War II and here is another subject that has gone ignored until now. This is the Mercedes Benz Model 170V Cabriolet in 1/35 scale. 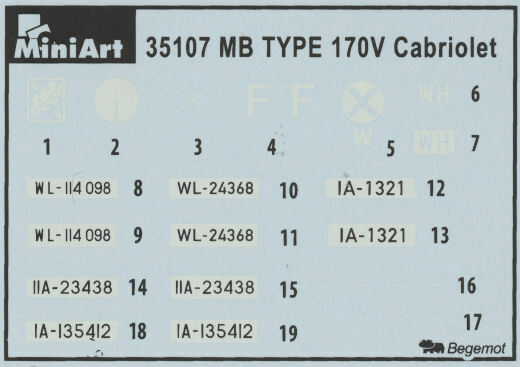 While the box carefully avoids the use of the company name to evade licensing problems, you can see in the box art the distinctive logo on the radiator cap. 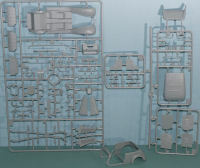 Molded in light gray styrene, this kit is presented on eleven parts trees plus one body also molded in gray, one tree of clear parts, and one fret of photo-etched details. 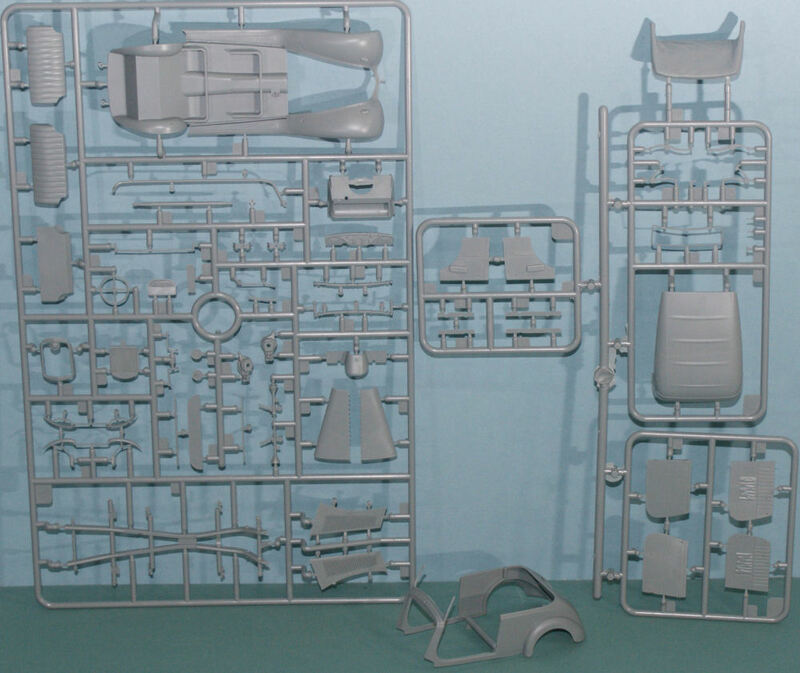 MiniArt produces some of the nicest kits in their growing range of vehicles, figure sets, and diorama sets. This kit is no exception and with some attention to detail, you can render quite an impressive example of Mercedes engineering. With some figures, you can let your imagination set the stage for any story you'd like to tell.